Have you finished or studied German? 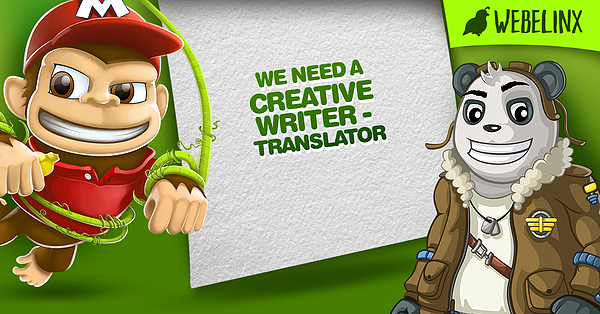 Do you have translation skills and like to write creative texts? Webelinx is looking for an interpreter to work in one of the best teams in the region. Webelinx Mobile Development is looking for a person who will help designers and developers in conceiving accompanying texts in applications and games. Log in by sending an email to jobs@webelinx.com.